Taco Bell is coming for your late night booze-fueled cravings — with, get this, more booze in more locations. 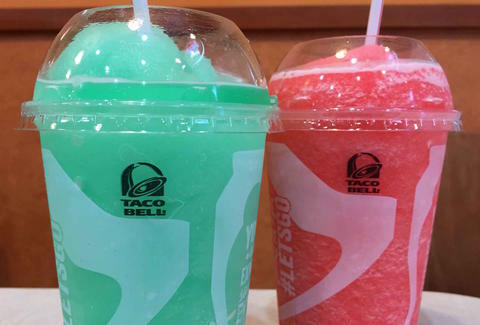 In an interview Monday, T-Bell’s CEO Brian Niccol hinted that the company’s new, urban booze-serving concept restaurants could arrive in cities like New York, Boston, and Columbus, OH, according to a report by Bloomberg. In other words, your "fourth meal" may never be the same. Already, the nation’s first boozy Taco Bell is expected to open any time now in Chicago’s Wicker Park neighborhood, and a second location is planned for San Francisco near AT&T Park. Unlike your typical Taco Bell, the slightly upscale restaurants will serve beer, wine, and alcohol-spiked frozen drinks along with additional food options served in open-face baskets. The San Francisco location will even have a walk-up window, according to the report. More like a stumble-up window. While some have expressed concerns about the new, boozy Taco Bell restaurants, the company sees the concept as an opportunity to target carless millennials in big cities. We reached out to Taco Bell for more information about the company's boozy plans. Tony Merevick is Cities News Editor at Thrillist and will just have to make-do with pre-gaming for now. Send news tips to news@thrillist.com and follow him on Twitter @tonymerevick.